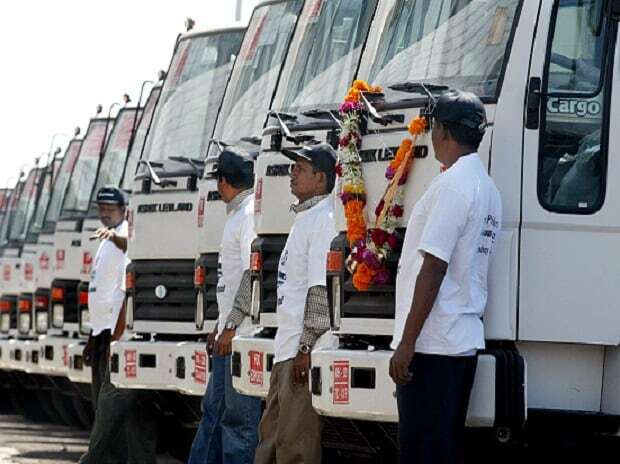 Automobile major Ashok Leyland has reported a 54 per cent jump in medium and heavy commercial vehicle (M&HCV) sales in November at 10,641 units over last year’s count of 6,928 units. Light commercial vehicle (LCV) sales rose by 44 per cent to 3,819 units, from 2,646 units a year ago. Total sales rose by 51 per cent to 14,460 units in November 2017, from 9,547 units last year. During the April-November period in 2017, total sales rose by 12 per cent to 96,891 units. M&HCV sales in the first seven months of FY18 rose by eight per cent to 71,062 units, from 65,871 units in the year-ago period. During the same period, LCV sales rose by 24 per cent to 25,829 units, from 20,843 units last year.